The old adage "the bookie always wins" is often mentioned around Matched Betting. For some people, if it's too good to be true then it most probably is. But, Matched Betting really is different! It's one of the only sure fire ways to take money off the bookies consistently, and, if done right, without risk. So it's my job in this article to start dispelling the myths around Matched Betting. 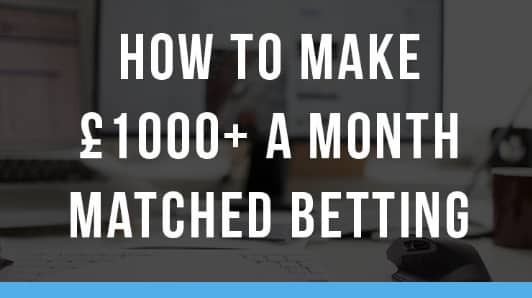 Before I heard of Matched Betting I was definitely in this camp. There's a saying around my neck of the woods that goes "you never see a poor bookmaker", and it's true - you don't! That's because the vast majority of people enjoy the risk that comes with sticking a tenner on your favourite team at the weekend or picking out an accumulator that might win you thousands if it comes in, and that's the extent of their betting. Even when I first heard of Matched Betting and began reading about it, I had in the back of my mind "where's the catch?". But I can honestly say the only catch I'm aware of is that you actually have to put the effort in. Sites such as ourselves take care of a lot of the work for you, but you still need to put time into first gaining an understanding of how it works and then you need to spend time actually placing the bets. If you want to make £1000+ a month, you're going to need to spend a couple of hours a day. Quite simply - if you do it right, if you follow our instructions, it's risk free. The risk lies in you doing it wrong. But don't let that put you off, because whilst it can be quite daunting at the start, it doesn't take more than a couple of hours or a few completed offers to really understand what you're doing. After that you start to work more quickly and things just seem to fall into place. The initial lay and back bets cancel each other out, so you don't win or lose money if done properly. After that you're racking in the cash from the bookie offer. It's plain sailing from there. Making £1000+ a month is possible, and a lot of our members are doing just that. We conducted some research into what our members won last year, and out of the members that entered, the average amount earned was £14,652. One member, Fisherm3, earned a whopping £27,779! So they are walking proof that £1000+ a month is totally achievable. But, as I already touched on, to earn £1000 or more a month Matched Betting you need to be putting the effort in. A couple of hours every evening following our daily offers should see you hitting this figure (at least) very comfortably. Two words: Reload Offers. These are offers for existing bookmaker customers, and they are what allow you to continue earning money from Matched Betting. 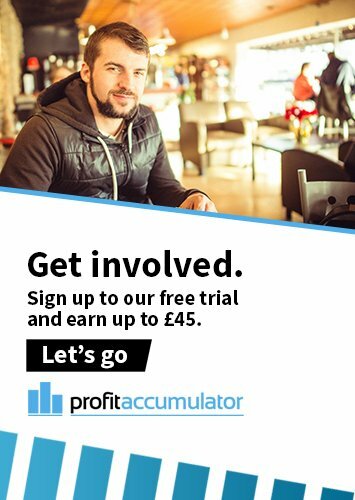 Our Beginner Offers are predominantly signup offers, meaning you can only qualify for the free bets when you sign up as a new customer. But Reload Offers are continuously being posted and are available to everyone. If you join our Platinum Forum, there's a thread where, every single day, there are a whole host of Reload Offers posted, and if you do them alone, they are enough to earn you £1000+ a month! 5. If it really works, why isn't everyone doing it? The Million Dollar Question. The answer? All the points made in this article. It's true, people are sceptical; people think you can't beat the bookies; they think it's too good to be true; or that it's only good for a few quid then the money dries up. 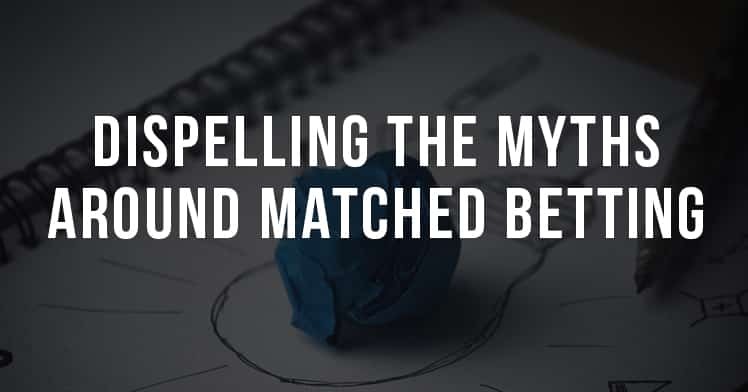 This article is to try and help that, to get more people into Matched Betting and to start dispelling the myths around Matched Betting. It really does work, so why not give it a try for yourself? We give you two completely free offers to test the water, earning you up to £45. Have a click below and start putting some extra money in your pocket!